It is official that the festive season is finally upon us where the holidays are the way too celebrate with the ones you love around the dinner table, cooking up delicious food in the kitchen, or sitting around in the living room catching up around the Christmas Tree whilst enjoying the festive specials of entertainment. Have you thought about what are you going too wear over the festive period? 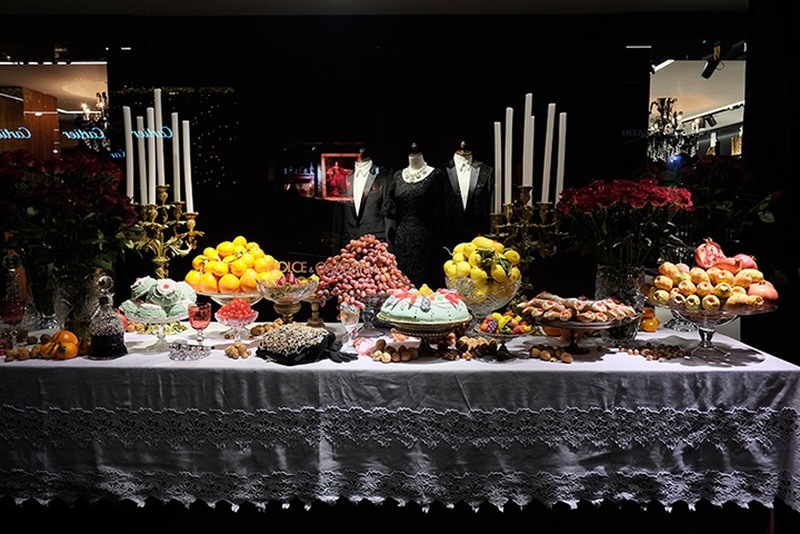 Well look no further Farfetch’s Dolce and Gabbana collection will ensure you are the opulent centrepiece as you celebrate Christmas whilst toasting in the new year and spreading your love. The Dolce and Gabbana women is someone who is strong, sensual, and glamorous. Each season the duo present’s this by incorporating themes from their beloved home which is Italy reflecting on religion, culture, and last but not least the heart of Italian culture which is family and the mother figure. At the same time this reflection of the Dolce women’s journey of living in Italy is showcased through the most opulent, striking rich colour palettes, and materials through the garments of each of the brand’s collections. One accessory which the Dolce women owes is her ‘Sicily Bag’ which she takes everywhere from vacations, shopping, to even being placed on the kitchen counter whilst she takes care of her family. When it comes to the big festive day like all mother’s do they like to ensure that all of their family looks the part whilst they approach traditional tasks to contribute their part. I’ve put together a wish list which features one way to show how much you care about your beloved mum, partner, or family member this Christmas. 1. Crystal embellished pumps £695 – This pair will finish your look off in style with the accented round toe, crystal-embellishment. It’s a contemporary shoe with the touch of classic black. 2. Daisy Jacquard white skirt £385 – Clean and crisp skirt whilst following this season trend ‘Neutrals’ whilst featuring a delicate daisy jacquard print. This is the skirt for creating a two-piece outfit. 3. Flared Midi Dress £1,250 – A touch of red is the tradition. This dress is a classic for this time of the year with a sleeveless design, fitted waist and pleated – mid length finish. It’s a chic choice for the base of your day to night look. 5. Boucle Knit Vest £620 – I find this piece special due to the material and finish of the multi-coloured virgin wool. At the same time, it’s a great piece to be apart of two-piece outfit for a day to night chic look. 6. Bellucci K Pumps £565 – These are a favourite. Elegant yet embellished in the right place. Adding a touch of a bronze mystery by the placing of the rhinestone embellishments whilst keeping with the traditional heel high and the toe pointed. 7. Floral Lace flared dress £1,200 – Work two of this season’s trends floral and Neutrals in the prettiest way this Christmas. This dress beautifully features a silk blend floral lace design with the finishing touch of a belted waist. It’s one Dolce and Gabbana opulent wish list is it? Well there’s plenty too chose from ahead of the big festive day. Make sure you check out Farfetch’s delivery guide here so your gift of affection can be delivered in time. Which item will you choose? Wishing all my readers a wonderful Christmas! · * This post is in association with Farfetch. All products featured are part of the Dolce and Gabbana womenswear collection featured on Farfetch.com. The first image is photographed by Frantzesco Kangaris.